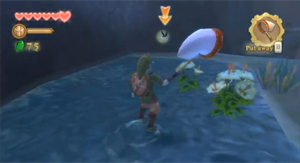 Below, you'll find a Skyward Sword Bugs guide, listing all of Bugs that can be found in Skyward Sword. This guide will list the locations of all bugs, as well as their Sale Price and Infusion Recipes. Once you defeat Bilocyte and save Levias in Thunderhead, Stritch will appear on Bug Island within the Thunderhead. Here, you can sell whichever bugs you have obtained, which is what the Sale Price refers to. Also, you can visit the Infusion Shop in the Bazaar on Skyloft. Here, you can talk to Bertie, who will infuse bugs into your potions to make them stronger and more useful. Listed in each bug box are the Infusion Recipes each bug is used for, and how many are needed for each one. The Bugs can be found throughout the game, all over the map. 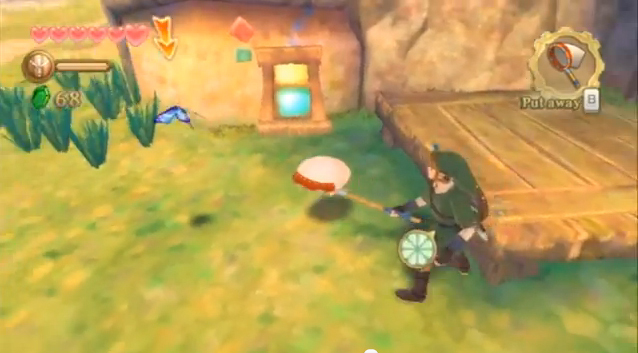 To catch almost any bug, you must have obtained at least the Bug Catching Net from Beedle's Airshop. This will allow you to catch and keep any bug you find. Once enough of each bug is caught, they can be used to upgrade potions, equipment and items. 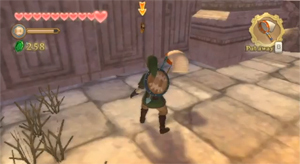 For full context as to where each upgrade can be acquired, be sure to take a look at our Skyward Sword Walkthrough. 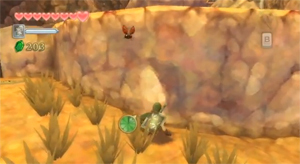 The Blessed Butterfly can be found all over Skyward Sword; in Skyloft and all three surface areas. They are usually found in groups, and will sometimes float around suspicious areas, indicating the presence of Goddess Walls and Gossip Stones. 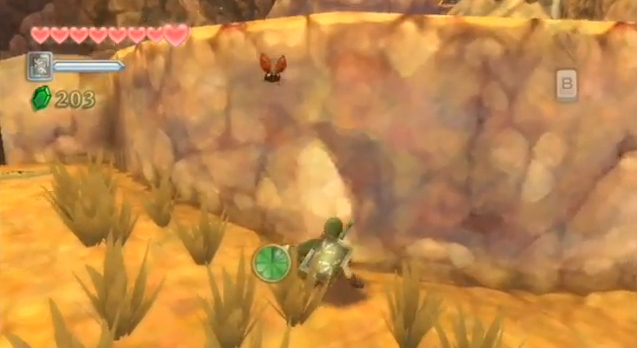 Read More about Blessed Butterfly at the Zelda Dungeon Wiki. 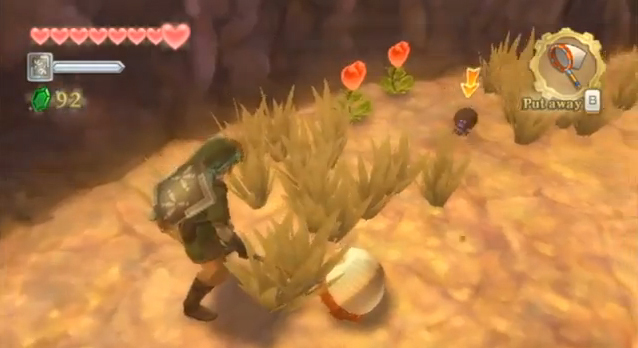 Deku Hornets can be in the Faron Region, specifically, in the Faron Woods and Deep Woods. They can be found near trees, where they float around a beehive. If you draw near, they will start to attack, so quickly catch one if needed. Read More about Deku Hornet at the Zelda Dungeon Wiki. 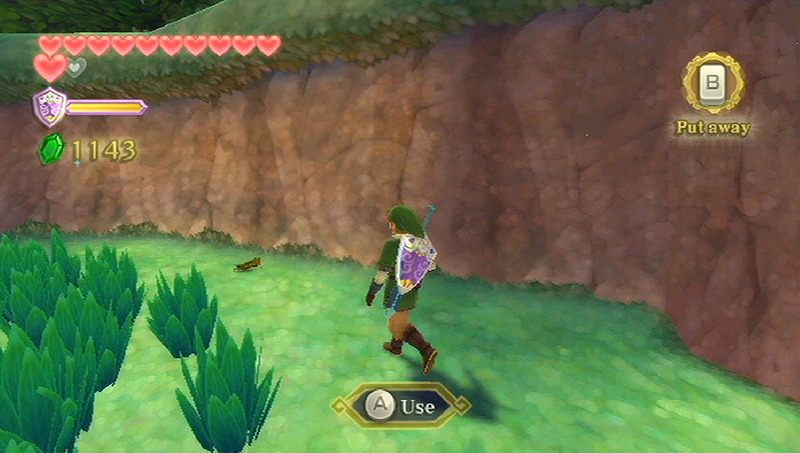 The Eldin Roller can be found in the Eldin Region. They are very quick, and will often dart away from you at great speed. You will need to be agile in attempting to catch them, otherwise they will disappear into the ground or lava. Read More about Eldin Roller at the Zelda Dungeon Wiki. Faron Grasshoppers can be found in all areas of the Faron region. They act like an normal grasshopper, and will quickly hop away from you if you draw near. Read More about Faron Grasshopper at the Zelda Dungeon Wiki. 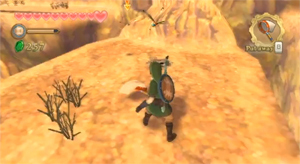 The Gerudo Dragonfly is a desert insect found all across the Lanayru region. They will fly far to escape capture. Creep up on it to catch it. Read More about Gerudo Dragonfly at the Zelda Dungeon Wiki. The Lanayru Ant is a desert insect found all across the Lanayru region. They move rather slowly, and are relatively easy to capture. Read More about Lanayru Ant at the Zelda Dungeon Wiki. The Sand Cicada is a desert insect that is quick to fly away, and is one of the most difficult insects to catch. You must be agile in attempting to grab it. 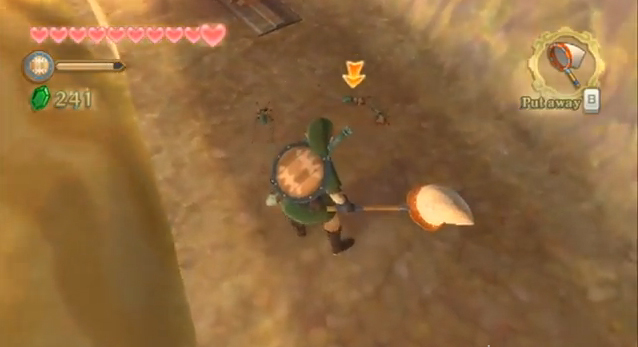 Read More about Sand Cicada at the Zelda Dungeon Wiki. The Sky Stag Beetle can only be found on Skyloft. They can normally be found on trees, and will quickly fly away if you don't catch them. 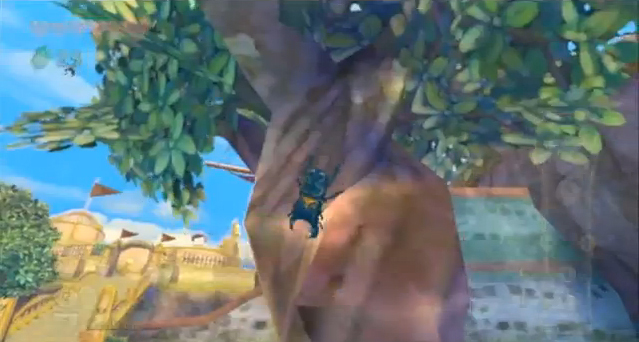 Read More about Sky Stag Beetle at the Zelda Dungeon Wiki. The Skyloft Mantis is an insect that can only be found on Skyloft. It has sharp claws, and are fairly easy to catch. 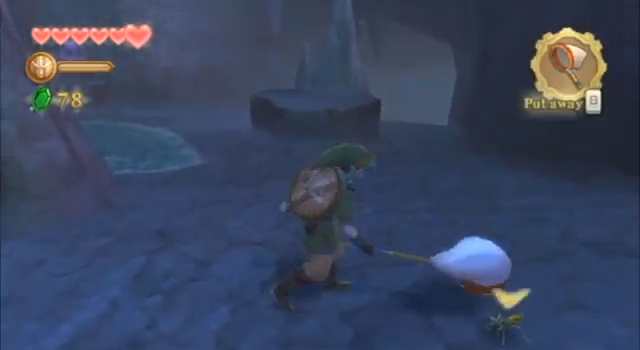 Read More about Skyloft Mantis at the Zelda Dungeon Wiki. The Starry Firefly is a glowing insect found at nighttime or in dark places such as caves. They are fairly easy to capture. 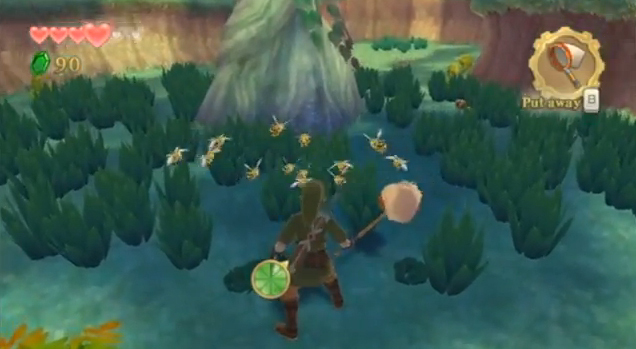 Read More about Starry Firefly at the Zelda Dungeon Wiki. The Volcanic Ladybug dwells in the volcanic region of Eldin. They move very little and are easy to catch. 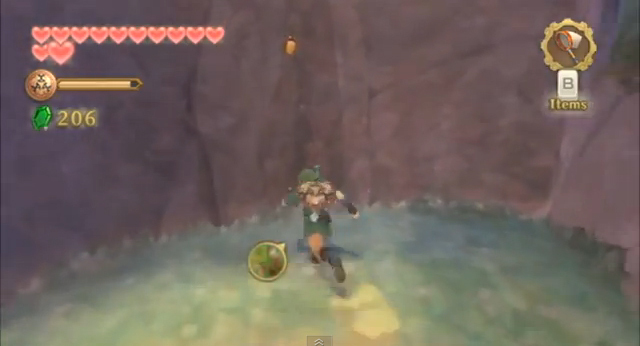 Read More about Volcanic Ladybug at the Zelda Dungeon Wiki. The Woodland Rhino Beetle is found in the wooded area of the Faron region, normally on trees. You can roll into the tree to knock them down. Read More about Woodland Rhino Beetle at the Zelda Dungeon Wiki.